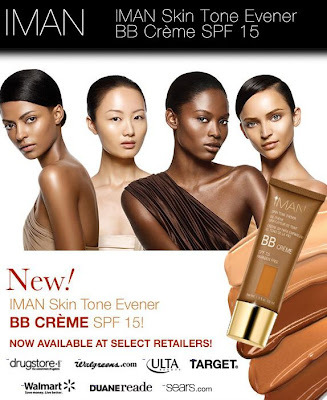 Soon after I shared my last BB creme review I found out about IMAN's new Skin Tone Evener BB Crème which, as a brown woman, really interested me. A comment on my last review expressed the concern about there not being enough shades for women of color provided by the mainstream brands so it seems like this is right on time! I was invited to one of the many events that IMAN is hosting at nationwide Duane Reades to test the product and was provided a sample as well. My Lil Love Bird accompanied me for my makover . . . Prior to the event I was impressed (albeit a bit overwhelemed in a good way!) by all the shades available as seen on the website. 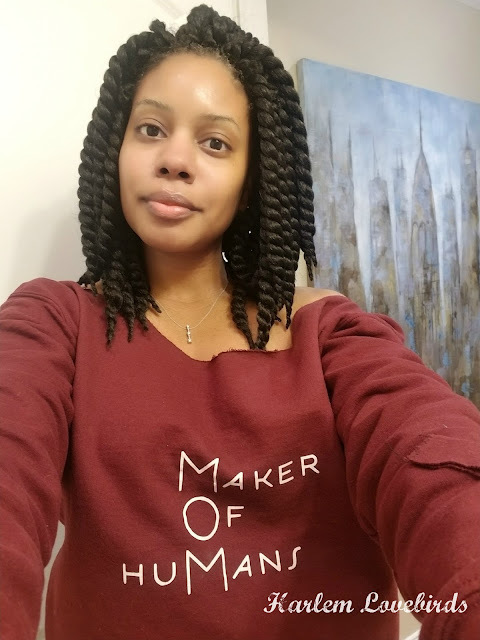 It reminded me of when I spent a month in Jamaica and was so excited to go in conventional drug stores and see makeup aisles with tons of color options for brown skin! Please disregard my awful brows!!! LOL! It has SPF 15 - this was something I had seen some complaints about other BB cremes, but hadn't been a concern for me since I layer on SPF daily anyway regardless of wearing makeup so this is just a bonus! 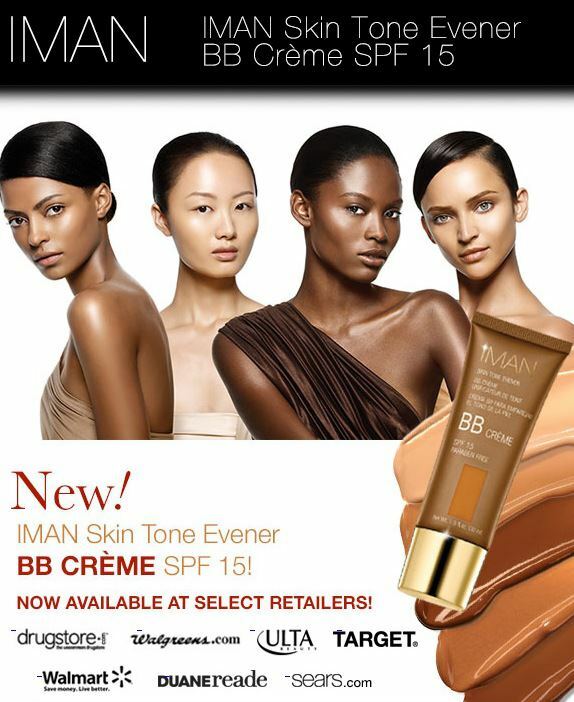 I highly recommend giving IMAN BB Crème a try especially if you've been unable to find a good color match for your skin! Disclosure: I received a free sample of IMAN BB Crème for review purposes. All opinions expressed are my own.